Are Blockchain and cryptocurrencies transforming the world as they intended to? Yes, because the development is certainly happening but not at a pace that you can feel in your daily lives. And no, because many blockchains and crypto projects are struggling to find a viable use case. And in some cases, they are trying to solve a problem that isn’t really a problem. But one common problem is the lack of a highly customizable blockchain and crypto solution for everyone. By everyone, I mean everyday users, enterprises, and institutions so that they can use such solutions in any industry. In short, an industry agonistic solution. And now LuxCoin and LuxCore are trying to put forth a solution by combining the best of all blockchain we have seen thus far. What Is LuxCoin & LuxCore? Now that’s a lot in one place. In simple terms, LuxCore is a blockchain platform that will have smart contracts & DApps infrastructure. And it has its native cryptocurrency called LuxCoin to fuel operations on the LuxCore. Plus, they have tried to create LuxCoin in a hybrid fashion (PoS + PoW) with a new algorithm which has made it ASIC resistant. 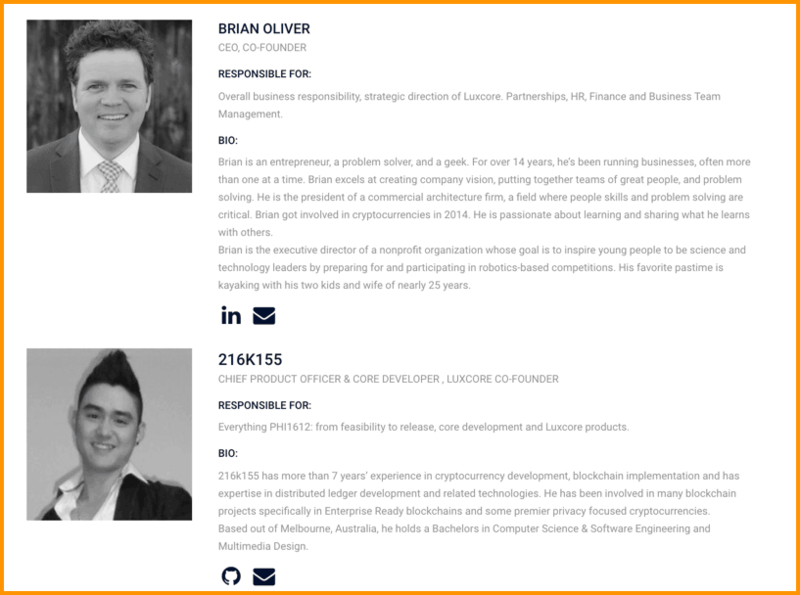 The LuxCore project is registered in Australia with a focus of having offices in Australia, EU, and the US regions backed by its two experienced co-founders. See the team bio here. 1. 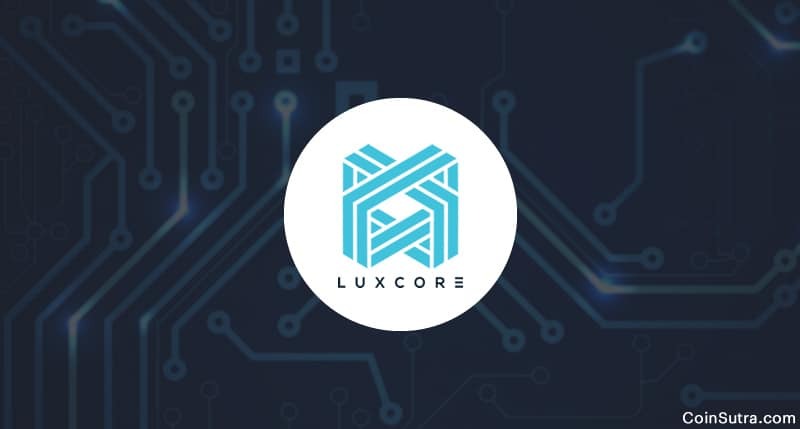 Masternodes: Lux will have dedicated masternodes which are servers that run 24 x 7 and 365 days to provide an extra layer of stability and functionality over LuxCore. LuxCore plans to license this feature for businesses. To run a Lux Masternode, a user is required to have 16,120 LUX in a wallet and as a result, they will earn 40% of PoS block reward. 3. Smart Contracts: These smart contracts will work like normal smart contracts on the Lux blockchain. Apart from that, it will also unify blockchains using Parallel Masternodes & LuxGate (more on this later). 4. LUXSEND: LuxSend is a coin mixing service facilitated by Lux masternodes and will help in obfuscation of IP, wallet addresses etc. 5. Lux Trading Wallet: This wallet enables you to keep your LuxCoin on it, thereby saving them from exchange hacks. Also by storing LuxCoin here, you will earn stake rewards which you will miss otherwise. 6. Multisig Transactions: Lux will facilitate multisig transactions such as 1-of-2 Signatures, 2-of-2 Signatures, etc. for enhanced safety of the funds. Parallel masternodes will be hosted by vetted businesses and institutions to act as a secure information gateway on the blockchain. 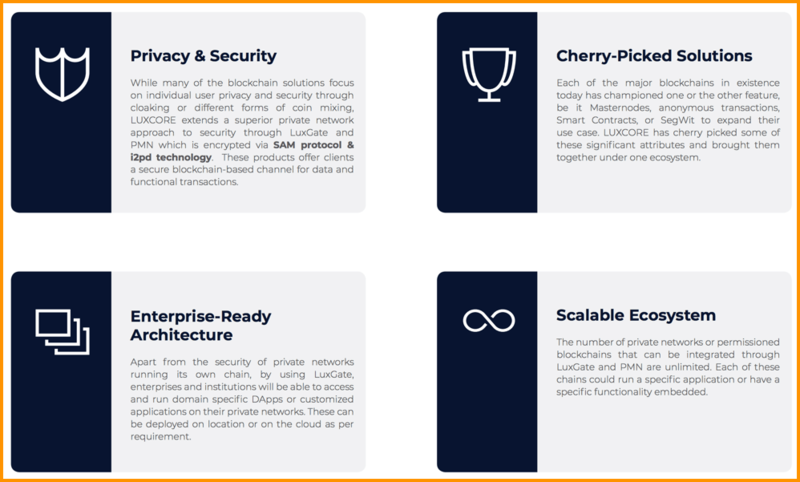 LuxGate is a revolutionary technology that will facilitate communication between validated blockchains with the ability to perform advanced functions and tasks. Lux PoS wallet will remain free for LuxCoin users but with customizations and service add-ons it will be licensed for businesses. Apart from that, LuxCore will provide consultancy for development of permission blockchains & DApps for businesses. LuxCore uses PoW as a method for establishing the distributed trustless consensus network and to ensure seamless transactions. 60% of the reward is for staking (0.6) and 40% of the reward is paid to the masternode (0.4). Minimum stake age is 36 hours; no maximum PoS age. For those of you who don’t know, LuxCoin didn’t have an ICO but it did have a pre-mine which was 5% of total supply, i.e. 3 million LUXCoin. According to CoinMarketCap, the total circulating supply of LUXCoin is 1,928,883 LUX and the current price of each unit is $5.24. That values its market cap at approximately $10 million (at the time of this article). Note: Buying LUX in fiat currencies such as USD, EUR, or GBP is currently difficult. Recently they have bid goodbye to LuxCore and have deployed Luxcore Mercury v5.0. Luxcore Mercury v5.0 features include Smart Contracts, SegWit, block pruning, Phi2 and most importantly a full-fledged marketing campaign! Plus, their Github shows that they have been working quite decently on updating the whole software which is a good sign for any rising project. But as I see, they will be in development for the most part of the remaining year. However, it will be interesting to see how far they go in cracking deals will businesses and enterprises. Lastly, despite some features that make Lux superior, its competitors Neblio, Ethereum, EOS, NEO, etc., are well ahead of it. We can only wait and watch what the future has in store.